Looking for a quiet, maybe romantic vacation in the Northeast Georgia Mountains? If so, then an inn or B&B might be the perfect choice for you! Whether located in-town or in the woods, these accommodations offer extra comfortable bedding, delicious homemade breakfasts and more. Many feature on-site restaurants, garden areas, porches and gathering places. 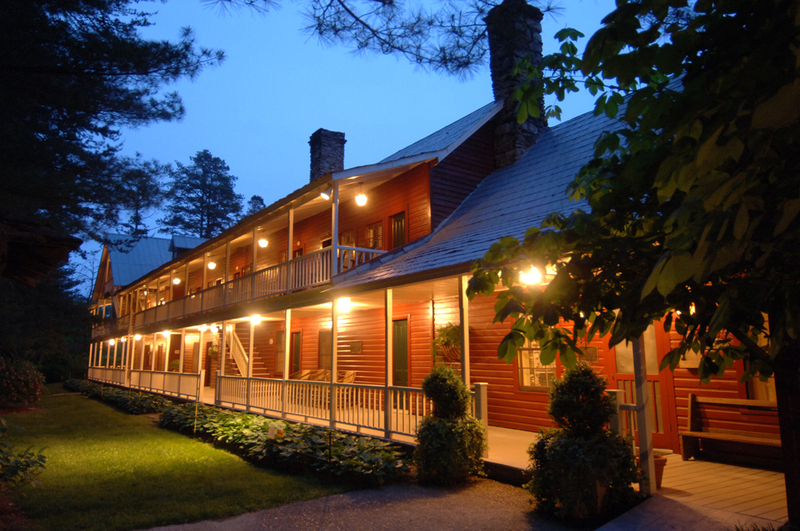 You’ll find award-winning Georgia mountain hospitality and fine dining at Beechwood Inn. Nestled among 100 year-old terraced gardens overlooking Black Rock Mountain, it is a place where all elements add up to a culinary and wine-oriented journey. Relax your mind, refresh your body and rejuvenate your soul as the innkeepers pamper you with affordable elegance. There are eight individually decorated suites all with private baths, and most with fireplaces, private porches and mountain views. There’s also two cabin rentals, one on-site and one located secluded in the woods near Betty’s Creek. 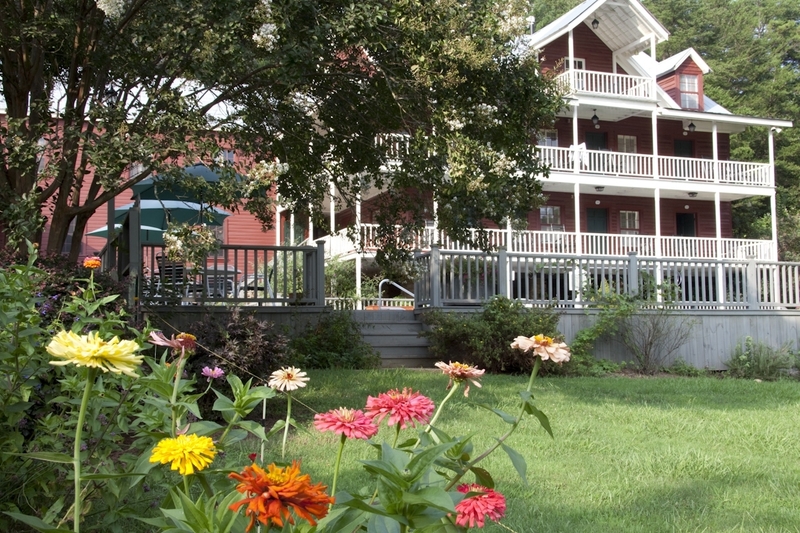 Beechwood Inn offers daily “wine-thirty” with wines made from Georgia grapes. The Inn’s restaurant features Saturday Farm-to-Table Dinners and a Wine Spectator Award of Excellence selection of vintages. The Inn’s beautifully landscaped 8-acre property is perfect for weddings, receptions and group functions. 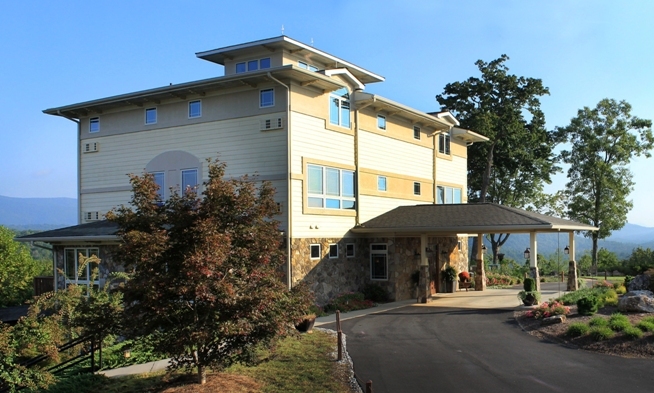 Selected as the “Best Inn in Georgia” by Georgia Magazine. Awarded a Trip Advisor “Gold Level GreenLeader” designation and Certified Wildlife Habitat. This historic North Georgia bed and breakfast sits in the picturesque Georgia Mountains and is located just 90 miles north of Atlanta in the foothills of the Blue Ridge Mountains between Tallulah Falls and Clarkesville, GA. Over a century old, Glen-Ella Springs provides the perfect atmosphere for a romantic getaway, a gathering of family and friends, a corporate retreat or a destination wedding. Glen-Ella features 16 well-appointed guest rooms and a fine-dining restaurant serving both guests and the public. Each guest room has a private bath and has been individually decorated with luxury linens, period antiques and locally made furniture to create an aura of rustic elegance. The perennial flower and herb garden, along with 17 acres bordered by the Chattahoochee National Forest, turns Glen-Ellas into a secluded retreat. 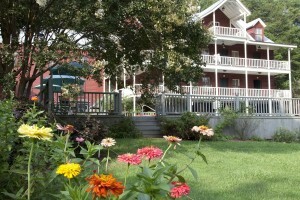 This romantic North Georgia Bed & Breakfast is nestled in the heart of Georgia wine country, surrounded by the rolling hills of the Blue Ridge Mountains. It is located just 60 miles north of Atlanta, between Dahlonega and Cleveland, Georgia. The historic charm of The Inn at Magnolia Oaks provides the perfect setting for a romantic getaway, intimate wedding or place to celebrate with family and friends. Guests spend time searching for gold or wandering through quaint shops and art galleries, visiting one of the many nearby wineries or waterfalls, or just relaxing on the porch swing. Beautiful magnolias and majestic oaks greet you as you climb the front steps to the old-fashioned wrap-around porch. Each guest suite has a private bath and sitting area, and each is uniquely decorated with luxury linens, heavenly beds and period antiques. Breakfast is a three-course Southern gourmet feast that includes fresh seasonal fruit, sweet or savory entrees, and ends with dessert! Experience luxury in the mountains and captivate your senses at The White Birch Inn & Laurel Bar. After a restful night’s sleep under a fluffy down duvet, envision yourself venturing down to breakfast under the birch trees which envelope the stairs, all while being serenaded by faint sounds of classical music. Choose between the cheerful, sunny breakfast room or the secluded, serene patio while listening to the babbling fountain and chirping birds, and watching the sun climb over Screamer Mountain. Before you know it, freshly brewed Kona coffee and fresh squeezed juices arrive to complement the home baked bread. An a la carte menu showcases a variety of hot and cold delights to start your morning. After spending the day visiting wineries or antique shops, or going boating or hiking, return to The White Birch Inn and relax out on the screened porch while enjoying complimentary wine and cheese before dining downstairs at the Laurel Bar. This perfect day culminates with turn down service, including chocolate mints on your pillow, which you have personally selected from the pillow menu! Nestled in the heart of historic downtown Clayton, Georgia, The White Birch Inn & Laurel Bar is housed in a two-story, 100-year-old brick building. This newer boutique B&B features six sumptuously appointed guestrooms. The Laurel Bar opened in July 2013 and The White Birch Inn opened on Memorial Day 2014. Whether your plans include escaping for a romantic weekend or enjoying beautiful Lake Burton or Rabun, The White Birch Inn is your in-town lodging choice.